When I walked out of Bramall Lane on Tuesday night, annoyed, frustrated and angry I never expected the events of the next 24 hours to unfold as they have. I had intended writing something about the disappointment of yet another gutless, pedestrian and goal-less home performance. Of how a majority of the players, displayed an apparent lack of commitment, care and a will to win. Of how only one could face clapping the crowd at the end, Matt Hill; the rest of the team shamefully scuttling off down the tunnel. And of how, yet again, our manager had displayed a lack of initiative in getting the best out of his squad. I was growing sick and tired of teams coming to Bramall Lane and passing the ball better than we can with pace and incisiveness, opposition teams winning second balls when we are off the pace and then being told that we were playing well by our manager. That the opposition had come to stop us playing. As Danny Wilson made changes with half an hour or so to go, I actually felt pleased with the action he was taking. At last we were going with two wingers playing on their natural sides and although the introduction of Chris Porter left us lacking pace up front, both he and Dave Kitson would give the wingers a target to hit from the by-line. What followed was one of the most depressing half hours of football I have witnessed at the Lane, as the team proceeded to aim long to two big, immobile strikers, whose sole objective appeared to be winning free kicks on the edge of the box. When the free kicks were won, they were thumped at the wall or tamely at the keeper. When a chance fell to Porter he put it high and wide and was publicly castigated by his captain Michael Doyle in an embarrassing act from a supposed leader, who ought to take a long hard look at his contribution before criticising others. Although we had hit the woodwork twice before this point, it soon became apparent that we were never going to score if we played until midnight. If this was the way our manager wanted us to play it was terrible. If it wasn't, then why was he standing there impassively on the touchline? Fans were castigated on the local radio phone-in afterwards, for criticising a lack of passion from Wilson, a lack of demonstrable frustration at what his players were doing. "You didn't complain about him not waving his arms about earlier in the season when you were winning." Callers were rudely cut off as the presenter, Paul Walker, dismissed the possibility of the issue being discussed. But surely they had a valid point? If Wilson considered that performance acceptable, thus standing there seemingly reluctant to direct or encourage change, then, to my mind, that was unacceptable. As the game went on, mistakes were made and the match slipped away. The crowd's passion and support turned to frustration and most drifted out. We were getting nothing from most of the players and seeing nothing from manager to suggest he knew what to do to change it. His final substitution, bringing on Barry Robson in the midfield felt like a token gesture of a man who had run out of ideas. Despite keeping the players in the dressing room for over an hour afterwards, his post-match comments suggested it was bad luck that cost us the game; two defensive mistakes and hitting the woodwork twice. He completely ignored the paucity of other chances created, the better football from Crawley, a magnificent point blank save from George Long to keep it 0-0 at the break. So to Wednesday night's announcement and with the briefest of statement from the club, the twitter rumours were confirmed and many questions raised. Did he realise he wasn't up to the job and walk? That would have been as gutless an act as that displayed by a majority of those in red and white stripes on Tuesday night. Or, more likely, was politely suggested he stand down? The latter was confirmed today and to many, me included, is a strange decision at this stage of the season. Or is it? Let's not forget we have an owner who could be classed as the King of impetuous decisions. Sack Neil Warnock after Premier league relegation when he was probably best qualified to take us up? Replace him with Bryan Robson, a man who struggled to cope with the Boro job and enlisted the help of Terry Venables? Wait 3 games into a season before sacking Kevin Blackwell - a decision best made in the summer? I am not sure if Danny Wilson could have got much more out of that team, only Danny and the players can comment on that. However, the pedestrian and lacklustre performances of recent weeks have offered little opportunity to think otherwise. Wilson was seemingly unable to find the right formula at home, whilst scraping results away from Bramall Lane. Yet, as I have previously said on this site, he was a jailed striker and injured/suspended replacements from taking us up last season, playing great football along the way. Do I think a manager leaving now is good for the club or their promotion hopes? No. Would it have improved under Wilson in the last few games? I doubt it. Should Wilson have been allowed to see the job through? He probably should. It is a difficult situation and a massive gamble by Kevin McCabe. The fact he thinks an unproven manager can do a better job than Wilson (his friend) suggests one of two things. Player power of some sort has won out, or McCabe is taking a massive risk with the future of the club and based on what? Fan disgruntlement? Home results? Observations on games (must be of others, as he isn't often there)? Is it McCabe's call or is he letting other's play with his money? The club statement on the appointment reads; "Getting promotion to the Championship is at the heart of the decision for a change." What do they see changing to achieve this? Sadly as much passion and hunger Morgan has got, that alone will not get us there. He can change formation and tactics, but can he make them pass and move with fluidity and pace? Can he install a passion and hunger that should be there? And if he can, can he do it in five games? I loved Chris Morgan as a player and a captain. He handles himself well with the media and fans. He is forceful, focused and determined. But is he ready for club management? I could have seen him managing the club at some point down the line. Just not in five games that will not just define our immediate future, but where we find ourselves both financially and in terms of league position for the next few years to come. "We are confident we will not fail, we are not planning to fail in our drive for promotion," says Kevin McCabe. I am reminded of the phrase "failing to plan is planning to fail"; from the outside looking in we have appeared to be a club without a coherent, plan or strategy for quite some time. Therefore I think I know what follows. I hope they can prove me wrong this time. Good luck to Chris and David. It is a big ask. A constructive and well written account of events. Only time will tell if the Owner has got it right and he is the one that ultimately carries the can both financially and for all our futures. It must be said that for such a successful businessman he is prone, and he has a reputation for, rash impromptu decisions. For me the 6 P's principle should always come in to play and I cannot believe that there isn't a plan in place for both Championship and League 1 status. If that is the case then poor management and strategy will ultimately lead to failure......and we've been there!! 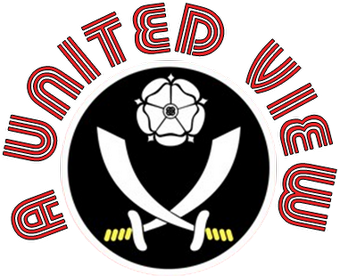 One thing this change will do is breed optimism and a positive atmosphere within the support base and BDTBL on Saturday. Win the first match and hopefully that will breed the confidence for the Brentford games and other challenges ahead. Good luck Morgs and Unsworth who are now at the helm and lets hope we get the football gods on our side for the reminder of this season and beyond. If I was the owner and seen recent Lane games, I would come to 2 conclusions. Despite the league table and the maths there is no way we were going up with the status quo and secondly, if not promoted then 2 seasons with the biggest wage bill in the division dictated that DWs time was up. On that basis, may as well change it and see if a short term boost would be enough to get us up. If not, nothing gained but nothing lost. As for season tickets, I had got to the stage where I was so bored, even when winning earlier in the season, that I was going out of habit rather than enjoyment. I realise this is a result driven business but surely that is a factor too? I had genuinely lost interest and 2 fans behind me (regulars) left at half time on Tuesday because it was so boring and cold. In the end, fan apathy would worry me as the owner more than anything else. For me, DW had to go and I am pleased he went before the vitriol and ex Wednesday stuff really got nasty as DW the man acted with dignity throughout his tenure. Unfortunately, as his cv suggested would be the case, he wasn't up to the job.